I dreamed of owning a castle when I was a child. There would be one room dedicated to original art. Of course, in my dreams it was expensive art. I do have one-of-a-kind art that was created by my children when they were in school. I turned the stairway leading down to the basement into my own “Art Gallery”. 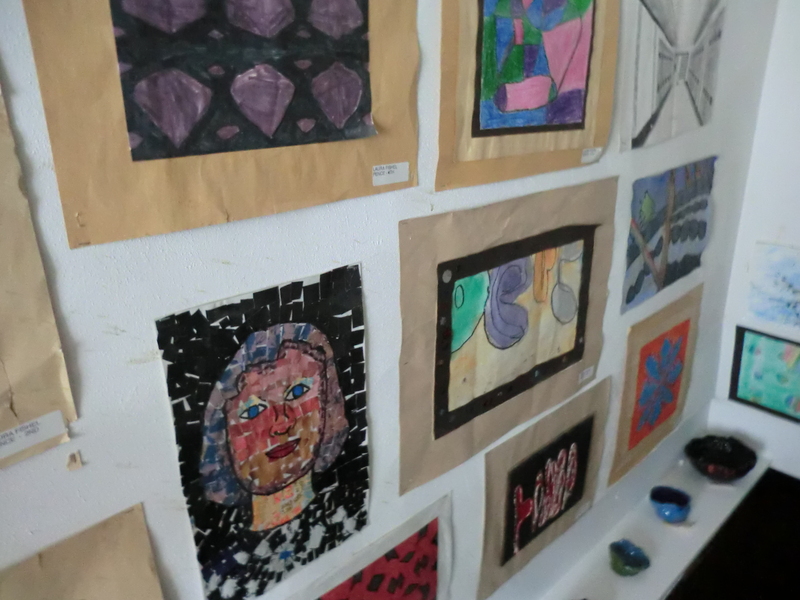 I stapled the matted pictures on the wall and placed their ceramic creations on a shelf. Someday, I plan to frame each piece individually or to place them between pieces of Plexiglas screwed into the wall. I also want to add lighting, but all of that can wait. This entry was posted in Decorating, Important Things, Use What You Have and tagged Decorating, Important Things, Use What You Have by Frugal Fish. Bookmark the permalink.